Ochanomizu is a small area located just west of Akihabara. You can easily walk there and get a nice look at everything in between, including Manseibashi Station. 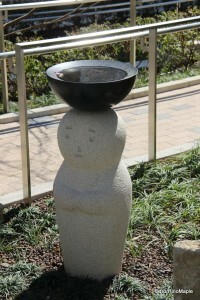 In 2011 I wrote about what I thought of the area, including Kanda and Jinbocho. I spent a bit more time walking around there and recently things have changed a lot. 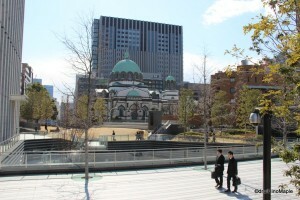 When I originally wrote about Ochanomizu, they were still in the process of building a new building complex. Actually, they had 3 new buildings that cropped up since I was last in the area; they added Sola City (1) and Wattera (2). The area’s profile has changed a lot over the past few years and it seems like a very posh place to visit now. I think Ochanomizu has changed and it is looking pretty good, although the character is a bit sterile as any new complexes tend to be. If you are coming from Ochanomizu Station, you will be right at Sola City. Sola City is a single tower and mall complex. From the station you enter Sola City via a small public space that is very nice. They really made sure you can enjoy the public space as a park and the grassy areas of the park are relaxing with good views of the Holy Resurrection Cathedral. The vantage points are a little limited but you can get some good photos. I visited the area on a cold early spring day and it wasn’t ideal to enjoy the park. I ended up just snapping a few photos and taking off. Below the public area is a small courtyard with lots of restaurants. These are all typical upscale, but not too expensive, restaurants similar to visiting Otemachi. 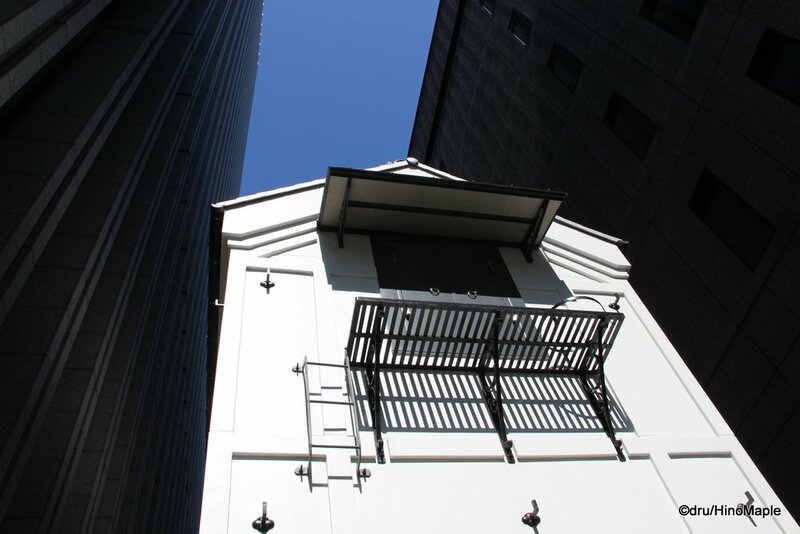 If you have ever been to Otemachi, you will know what to expect of that area. 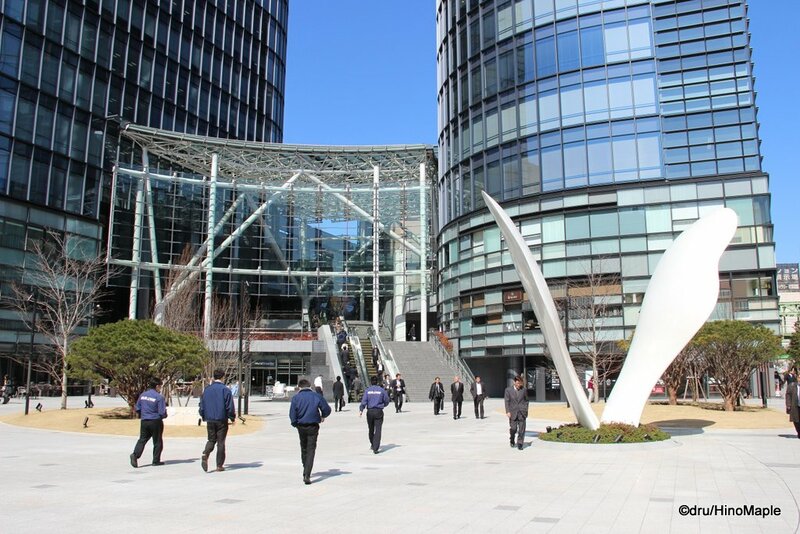 If you are a tourist, or just curious about the area, Sola City also has an information centre that has information about the entire area. You can learn about different points of interest from Tokyo University to Ueno, from Kanda to Jinbocho, and Ochanomizu to Akihabara. It is centred on the historical and art interests but it is worth a quick stop as you can also learn a little about the history of the area. 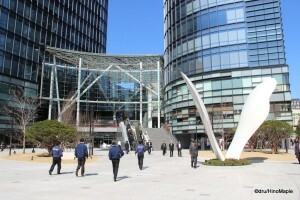 Waterras is part of the new complex of buildings at Ochanomizu and it is connected by a pedestrian bridge to Sola City. Waterras is the more interesting of the two complexes as it has 3 levels of public areas. The top level is the entrance from Ochanomizu Station and Sola City. It isn’t very interesting as it is the rear entrance and it mainly leads to the various office and residence entrances of the Waterras towers. If you have a chance, visit from street level from the south corner and you’ll really understand how this complex is supposed to look. The main entrance has a lovely grassy entrance that is almost as big, surface area wise, as the building complex. There is a very lovely art sculpture that looks like 2 angel wings coming out of the ground. When I visited, the light was just right and I could feel the ambiance and beauty of the complex. The first floor also has a few shops such as a supermarket, drug store, and a few restaurants. The second floor has the most interesting aspects of the complex. 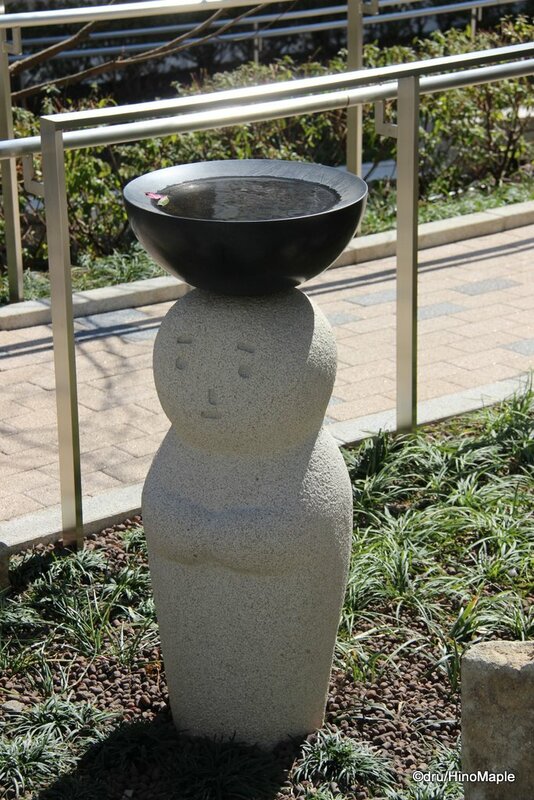 There are interesting restaurants and cafes, a look at the garden that includes a funny Kappa style statue, and a gallery/common area. The common area, called Waterras Common is a mixture of shop space and public rest space. There are nice chairs and tables so you can enjoy a nice lunch and there is a café that has lunch food as well. If you are feeling uneducated, there is a small library with art books for you to enjoy as well. If you need to, the area is available for rent. While Ochanomizu has changed a lot in the last few years, it has also stayed relatively the same. Things definitely look very different to the first time I had visited. While things do look very different, things are still very much the same. Aside from the new Waterras and Sola City complexes, most of the other buildings haven’t changed too much. 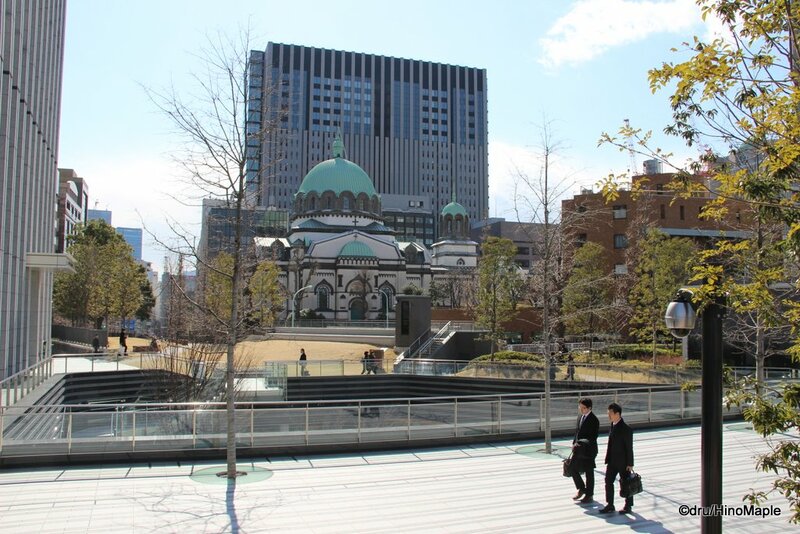 I still wouldn’t recommend casual visitors to visit Ochanomizu but if you are a hardened Tokyoite and in need of new places to visit, Ochanomizu is a great place to visit as it can provide some new and interesting things to see. Unfortunately I still don’t find it interesting enough to want to visit every weekend or even every month. It seems as if I’ll be visiting just once every now and then. This entry was posted in Tokyo and tagged A Socks Life, Cathedral, Chuo Line, Chuo Sobu Line, Holy Resurrection, Holy Resurrection Cathedral, japan, Jimbocho, Jinbocho, Kanda, kappa, Manseibashi Station, Sola City, tokyo, Waterras, Waterras Common by Dru. Bookmark the permalink.